The Department of Political Science is renowned for the development of the field of formal political theory and the application of quantitative methods to the study of politics. The interdisciplinary graduate program in Visual and Cultural Studies was one of the first to take a socio-historic approach to the interpretation of artistic production, and has served as a model for similar programs worldwide. In the past few years, research from groups in the Department of Biology has been cited twice in Science magazine’s annual list of top ten breakthroughs in all areas of science. The Hyam Plutzik Reading Series is one of the most prestigious and longest-running series in the country, featuring internationally renowned poets and fiction writers. The Center for Visual Science brings together one of the world’s largest and most distinguished groups of researchers who study how we see. Digital humanities at Rochester is both text- and image-based, and encompasses such diverse projects as the Blake Archive, the TEAMS Middle English Texts project, and the Camelot project. Faculty have developed innovative teaching approaches that have resulted in widely adopted methods for peer-led learning (Workshop Model) and for mathematics instruction (WebWork). The Frederick Douglass Institute and the Susan B. Anthony Institute honor the legacy of two of Rochester’s distinguished citizens through academic research and teaching on race and gender. 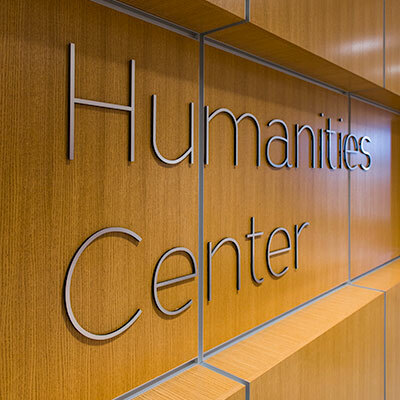 Dean of Arts & Sciences Gloria Culver has announced the creation of a Humanities Center, which will support multidisciplinary engagement around literature, history, the arts, and philosophies of cultures past and present with the aim of fostering educated, contributing global citizens.